The GRAMMY Music Education Coalition (GMEC), the non-profit collective dedicated to bringing universal music education to all public schools in America, has announced its 2019 plans which includes an All-Star Ambassador program and the launch of intensive programs in Philadelphia and Nashville. 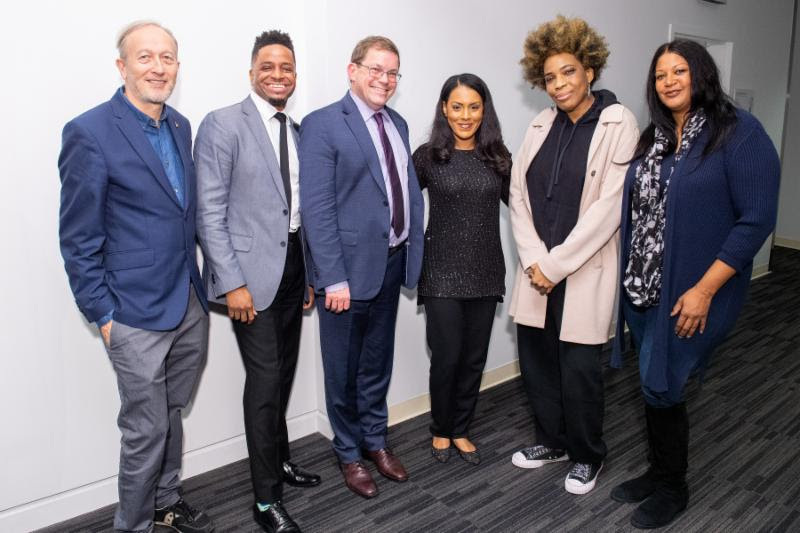 This ambitious effort is the first of its kind to marshal the forces of many diverse like-minded institutions, and is a partnership of 40 major progressive music education and philanthropic organizations. The GRAMMY® Music Education Coalition partners range from the The GRAMMY® Museum and The Recording Academy to the NAMM Foundation (National Association of Music Merchants), the National Association for Music Education (NAfME), Little Kids Rock, VH1 Save the Music Foundation and the Lang Lang International Music Foundation. Starting this spring, the GMEC will launch an All-Star Ambassador program consisting of a diverse group of musicians who all have personal connections to music education and have committed to spreading awareness and raising funds for music education. Bebe Rexha will embark on a national campaign, created by Havas, in the spring. Additional GRAMMY Music Education Coalition Ambassadors announced are: pop star Rita Ora, Broadway veteran Kristin Chenoweth, 8-time Grammy Award winner Stephen Marley, Latin Pop hit maker Luis Fonsi, rising country singer Caroline Jones, classical piano giant Lang Lang, Guns n’ Roses’ Matt Sorum, saxophonist/vocalist Mindi Abair, songwriter Regina Spektor and Philly rock band the War on Drugs. “The GRAMMY Music Education Coalition is thrilled to be celebrating universal music education participation by American elementary, middle and high school students,” said Executive Director Lee Whitmore. Today, we join with our GMEC member and partner, the GRAMMY® Museum Foundation, to inspire a future vision for careers and the arts for young people from around the Los Angeles area. On the ground, this year the GMEC is focusing on funding and services for the Nashville and Philadelphia public school systems, where the goal for this inaugural school year is to invest $1M in each district while overseeing and coordinating the programs of its Coalition partners. In Philadelphia the program includes a commercial music curriculum developed with DASH, with Live Nation and Recording Academy members along with a program coordinator. The Nashville investment includes an elementary music coach, a program coordinator, and professional development through spring/summer music and audio technology events for all teachers. The GRAMMY Music Education Coalition, formed in 2017, is a non-profit dedicated to building universal music education participation in elementary and secondary schools nationwide. It is a coalition of over 40 non-profit music education organizations and philanthropies that gathers academics, philanthropists, educators, artists and parents to work together to create dynamic, diverse communities to create and sustain music education.